As part of wider changes to South African rugby’s competition landscape, this year’s event will revert to the pre-season time-slot that was a feature of the first three editions from 2013-2015. A leaner 16-team, six-week format is expected place a greater emphasis on strength versus strength, while the recent success of the past weekend’s #SuperHeroSunday event at Cape Town Stadium will be replicated at grassroots level with a number of double-header match days planned. KZN champions College Rovers – finalists in 2013 and 2017 – will start the tournament as one of the favourites, while the presence of 2014 and 2016 Cup winners Newrak Rustenburg Impala (Leopards), 2015 champions Durbanville-Bellville (WP) and 2014 runners-up RotoTank Roodepoort (Golden Lions), among others, will ensure arguably the strongest field yet assembled. 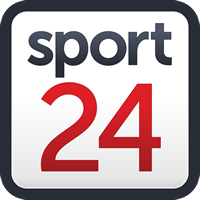 “Last year alone, iconic venues such as Outeniqua Park in George, Boland Stadium in Wellington and Esselen Park in Worcester sold out for big club matches, while more than 10 000 people crammed into the Bridgton Sports Ground in Oudtshoorn for a second year running to watch a televised Gold Cup qualifier as part of the SuperSport Rugby Challenge. The seedings for the four pools are based, among other things, on teams’ final positions in the last Gold Cup. The top two teams from each pool will progress to the quarterfinals on the weekend of 30 March, with the remaining eight teams eliminated.